Chevrolet is definitely going green--or at least, its customers are, as GM announces best-ever monthly sales of its four most gas-sipping models. Helping to reach sales 10 percent greater than those in August last year, the Spark, Sonic, Cruze and Volt all set their highest monthly sales figures since hitting the market. 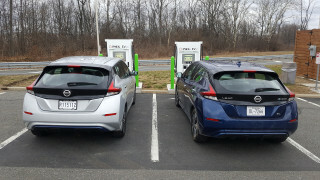 In addition to the Volt's August sales record of 2,831 vehicles--up on the previous best of 2,289, set earlier this year in March--the Sonic and Cruze also beat their previous bests by several hundred vehicles. The tiny Chevy Spark almost doubled its July figures, as a result of natural increases following its first full month on sale. 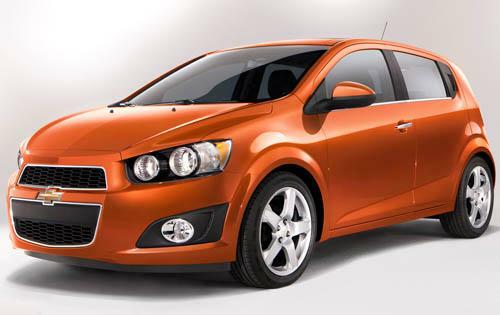 Chevy sold 2,630 Sparks in August, up from July's tally of 1,460. GM is putting some of the sales boost down to extensive promotion during the summer's Olympic Games, but increasing awareness of cars like the Volt is also playing a part, having out-sold its Nissan Leaf rival consistently this year. Passenger car sales were up 25 percent overall, buoyed by a spate of recent product launches. But the good news is that buyers are really taking to Chevrolet's range of small and fuel-efficient vehicles, spurred on both by rising gas prices, and a huge increase in quality over GM's small cars of only a few years ago. And whether it's the technology of the Chevrolet Volt or the lightweight simplicity of the Spark, green buyers have more choice than ever in Chevy's lineup.